Driving real traffic to your site these days is a never ending battle that most people think is beyond their reach if they don’t spend thousands of dollars on search engine optimization or further fill the pot of gold that Google is building with their pay-per-click Adsense program. Obviously these techniques should be a cornerstone of your online marketing program. But there are many more affordable techniques that can help you drive traffic and all it takes is a little elbow grease and maybe a few extra bucks. I’m not talking about just any traffic though. What we want is local, targeted website traffic that drives real clients and customers to your local website and your local business. In the good ol’ days, any link to your site was a good link and traffic was traffic. We all thought that it would reward us somehow. Any link to your site definitely won’t hurt you but if your business is strictly local you ideally want high quality, targeted local traffic that generates results. What those results are depends on the site but regardless, the following techniques will surely help any site owner affordably jumpstart their local traffic and reap real results without spending thousands of dollars. The 20 items listed here are obviously not the only techniques, just some new (and different) ideas to add to your arsenal. Partner with a high traffic, local site that’s ranked well and pay them a few bucks to link to you. Get listed on local coupon sites and provide an offer. 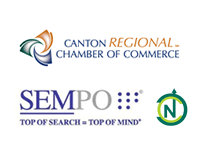 Continue traditional business networking through chamber lunch groups and events. Go to church and get involved. Meet people and tell them what you do. Possibly donate your time to build your network. Get involved with local groups and charities. Donate or discount your business services for non-profits. Ask partners and existing local clients for links from their site. Give away content that’s locally targeted and allow unlimited resale and reprint rights (make sure to require your site link in the content!). Research many low cost, local key-phrases on Google and target them in everything that you do on your site . Post your business card in high traffic local establishments and gathering places like the YMCA. Consider old fashioned “offline” advertising. Direct mail, affordable local print ads, church bulletins, etc. Get listed in Google local, Yahoo local and other local specific directories. Do a search for your local service with your area code and see if any free directories show up. Continue to do local searches with your zip code to look for free, local linking ideas . Get listed on free Yellow Page sites. Get linked from your Chamber of Commerce . Search out local government and education sites that will link to you . Contact local businesses and partner with them for links. Run a pay-per-click campaign targeted to only your zip code . Make sure that your business appears prominently when you search on Google maps and Mapquest . Partner with other businesses and give commissions if they refer people to your site and make a sale. Talk to everyone. Never miss an opportunity to grow your network which will increase traffic and sales over time. As they say, you get out of it what you put into it.